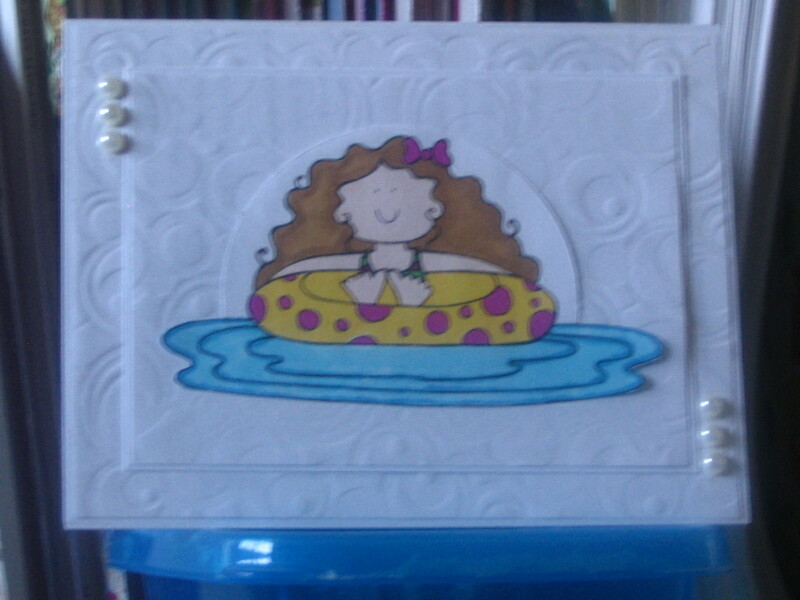 Over at Michelle Perkett Studio the challenge is to make a white on white card with a colored image. This is what I came up with, the image is a freebie from Michelle's CDAC group, her name is Penelope, isn't she cute. You can find this and other beautiful images from her etsy shop here, go check it out. This is such a cute card. I love the way you colored Penelope. Thanks for joining us this week at MPSC. This is lovely DQ! Penelope is so cute. Thanks for playing this week at MPS! Hi Denise! What a beautiful card you made!! love your coloring of the image! thank you for playing with us at MPS this week! we´d love to see more of your great creations!! Hugs! This is so cute:O) Love the great design, and your colouring is lovely. Thank you for joining Michelle Perkett Studio, good luck!